Chablis is one of the most misunderstood regions in France; for you fastidious folk, yes, it is indeed part of Burgundy, as its northern outpost. There is only one variety that counts here, and that’s Chardonnay, which thrives in the same chalk soils that originate in Dover and run through Champagne. 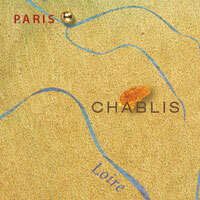 Chablis is Chardonnay in one of its purest expressions. If you are a lover of big, buttery versions, then further down into Burgundy will be more your thing than the pure styles to be found here.